Closeout. 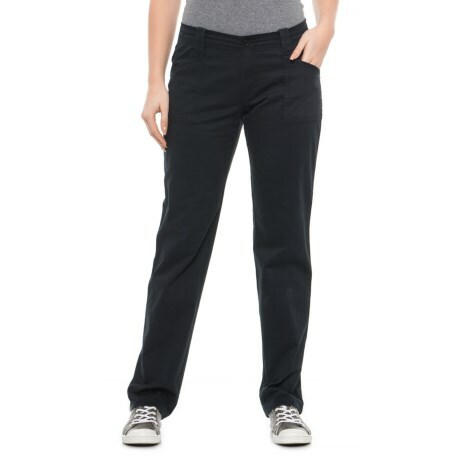 Enjoy sunny-day outings in North Riverand#39;s Black solid pants, made from lightweight stretch cotton and featuring pretty floral contrast facings at the waist and hem. Available Colors: BLACK. Sizes: S, M, L, XL, 6, 8, 10, 12, 14, 16.